A simple car accident case involves one injured “plaintiff” who is seeking compensation from one negligent or careless “defendant.” Bus accident cases are rarely that simple. There can be multiple at-fault parties who share some degree of responsibility for causing the crash. A complex bus accident case can also involve multiple injured plaintiffs seeking various forms and amounts of compensation. The complexities of a bus accident case can make litigating these cases expensive, especially for defendants who are forced to not only defend themselves against the accusations of the injured plaintiffs but who must also attempt to minimize their own responsibility for the crash by showing how other parties contributed to the accident. At Zinda Law Group, we are familiar with many of the complexities bus crash cases present. Our goal is to hold those who contributed to your injuries accountable for their negligent and careless actions. We will identify all of the parties who may be at fault for contributing to your injuries. If one or multiple defendants attempt to reach a settlement with you, we can help you evaluate the strengths and weaknesses of the offer and decide whether to accept the settlement, reject the settlement, or counter with a settlement proposal of your own. Multiple Defendants – Who is at Fault? A city or state government, if a public employee contributed to the accident or the government engaged in particularly troubling behavior such as failing to plow the roads and de-ice them properly after a snowfall event. Any particular bus accident case may involve multiple defendants who fit into a single category. For instance, multiple parts from multiple manufacturers may have failed and each contributed to your accident: each of the manufacturers can and should be a part of your lawsuit. What compensation do I expect to win at trial? How much compensation are the defendants offering me? What are my odds of winning at trial? How quickly do I need compensation? Is the compensation being offered enough to cover my expenses and losses? Have other injured plaintiffs settled with these defendants? If so, are the terms being offered to me comparable or better than the terms offered to them? Bus accident lawsuits are complex, but we can help guide you through the process of identifying and bringing suit against all responsible parties and deciding whether to settle your case with some – or all – of the defendants in your case. 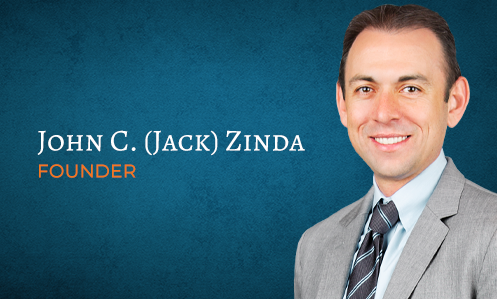 Contact Zinda Law Group today at (800) 863-5312 to schedule a free consultation to discuss your case.